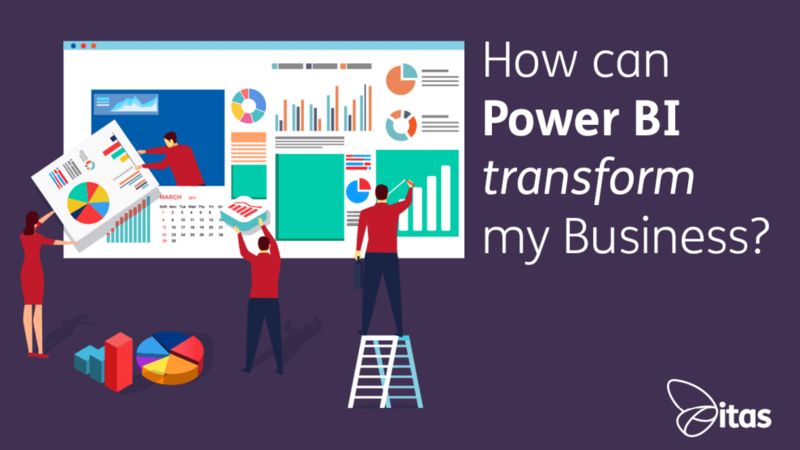 How can Power BI transform my Business? Power BI is a data analytics tool that gives you the ability to pull in data from a range of sources and turn it into visualised dashboards. Power BI is cloud-based, you can access it online or via the Power BI app. For businesses, this gives you the ability to easily generate what reports you’d like to see and from anywhere at any time. Power BI becomes even more useful when pulling data from your business system or accounting system, you have complete visibility of your business at your fingertips. How can this affect my business? Is your business limited to reporting from your business system, you rely on those monthly reports? Power Bi allows you to see that information instantly… It’s live. Your sales team have a target they need to hit by the end of this month, the only way you can measure their performance is one of two ways. Running back and forth to the finance team checking the banks, or waiting until the end of the month for that monthly report. Wouldn’t you just want it now? Instantly? Power Bi can pull in data from the invoicing sheet and show what invoices have been created in real-time. You can display this in Power BI in whatever format you want… You could even cast this on to a monitor in the sales department. Every salesperson likes to think they are Jordan Belfort from the Wolf of Wall Street, how about optimising that feeling and displaying their performance on a dashboard? It’s going to work both ways. They’ll either perform well and really feel like Jordan Belfort or they’ll do badly and wake up back to reality, getting grilled by the sales director on a Friday afternoon! Both enhanced by the power of the dashboard! This could even be useful in reverse, for the finance team chasing payments. Who, What, When, Where needs paying? Display it on a dashboard, save time clicking in and out of your accounting system and have it live and in front of you at all times. Anywhere in the system information or data is stored can be accessed and displayed in Power Bi. This means that you can report on just about anything. Can your accounting or business system provide detailed live reports that are relevant and useful? Let’s say you’re an IT company with a support team, how can you measure their performance today? Well like us, we use Power Bi to display cases, follow-ups, cases closed, working on, unassigned cases for people to pick up… we even set up a Google Chrome URL Rotator that flicks between several different reports on one screen. It helps improve our efficiency and responsiveness to customer cases. How would we have done this originally? Excel? Or even the old whiteboard? It’s improved our processes and saved us a considerable amount of time. It’s worth noting, that particular dashboard pulls information from our CRM, yet another system pulling information into Power Bi. We have the data set up to update every time our CRM is updated. You can also choose to update daily, weekly or at a specific time of your choosing. This would depend on the type of dashboard you’re looking to create. So, you’re a consultant. Let’s say you need to confirm stock while your on site, the only way to do this would be to call the office or warehouse. With Power BI you can find out all of that information from the app. As long as you have an internet connection, you’ll be able to access your reports. Your business genuinely is at your fingertips, how else would you get this kind of functionality? A new cloud-based accounting system is a big investment for any business. Power BI isn’t… it’s free. More refreshing than the thousands of pounds it could be for an additional software user on an accounting or business system. The benefits to your business are massive for such a small cost. TIME! You don’t have any. That’s understandable, we’ve recognised that and gone ahead and built reports for you. All your financials, commercials and other reports all ready to go for your business to use. This helps save you time actually generating the reports in Power Bi even though they are easy to do! Some businesses require this function because of time, resource or knowledge constraints. Save time going paperless with Power BI and visually show your reports hosted in the cloud. View them whenever you want and allow your business to continue ticking over without too much input and printing. 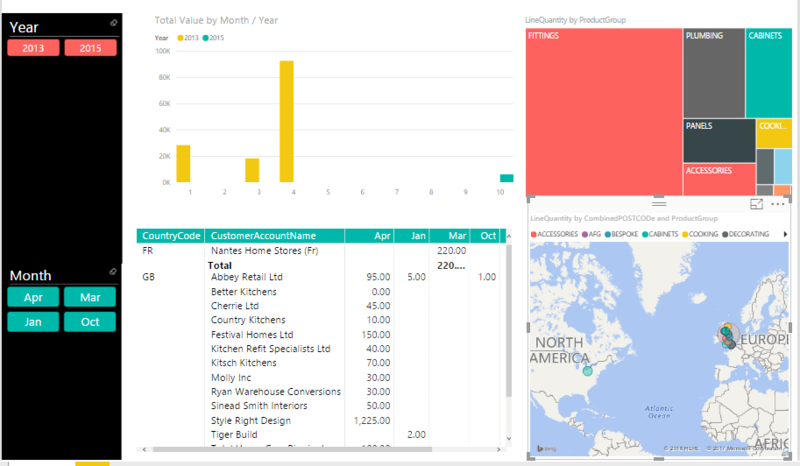 Power BI gives you the chance to look back and see what you’ve built. Forget those clunky report designer’s that require you to employ Einstein just to work them. Drag and drop what information you want in your report and visually see the results. Then if they leave, how hard is it to train someone up? Or how much does it cost? With Power BI it isn’t hard and as it’s free, the training cost is negligible. Even better, you can train up Betty from the front desk rather than someone new! It sounds too good to be true, doesn’t it! But it isn’t, who would have thought something that’s free could transform a business. Just to make things even more mind-boggling… we have built a connector between Power Bi and Sage 50. Being software specialists, we understand businesses wanting detailed reporting from Sage 50 are struggling. This is why we’ve built this connection. You can have all of this functionality with Sage 50 data! Sales, purchases, stock control, billing, cash flow, projects the lot. Change the way you report, for the better. We can help support you with Power Bi, offer training, pre-built reports and the connection between Sage 50. For more information on i50 Click Here or just give us a call! We always want to speak to you, we want to help revolutionise your business! 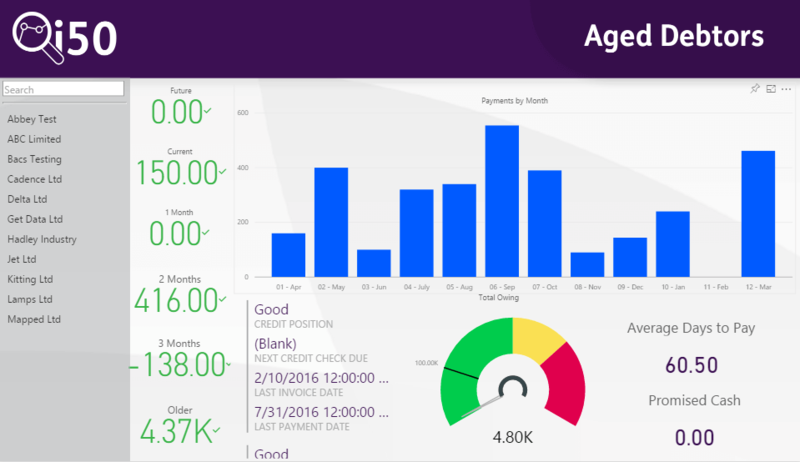 Home » Sage Blog » All Sage Blog Posts » How can Power BI transform my Business?